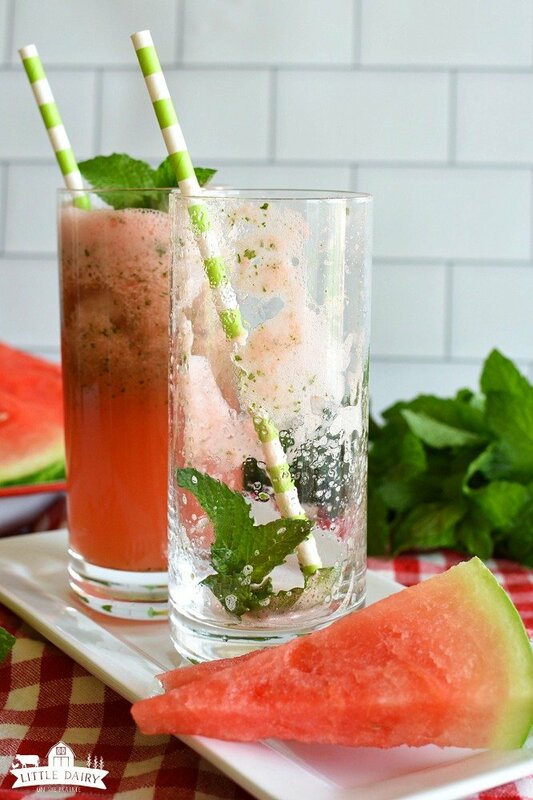 Is there anything better than sipping on Slushy Watermelon Mint Lemonade on hot summer days? Watermelon shares the perfect amount of sweetness with lemonade, mint gives it amazing flavor, and ice makes it slushy! It’s a summer drink combo you’re likely to make a habit out of! 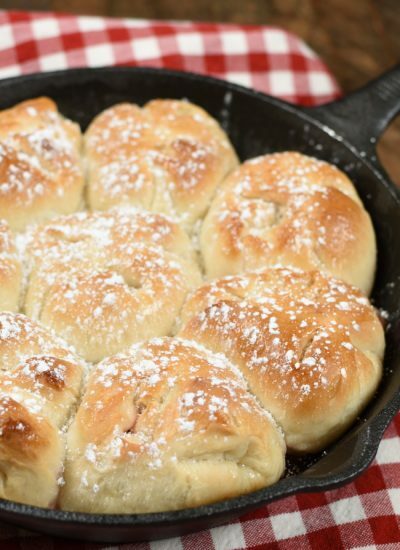 It’s also a really great way to use up leftover watermelon! It’s kind of crazy but when we build our house 15 years ago we decided we really didn’t need and air conditioner. Unfortunately summers in Eastern Idaho aren’t very long, and usually they aren’t very hot either. Well, it does get hot during the days for a couple months, but it cools down nicely at night. We close our windows first thing in the morning and trap the cool air in the house, then throw them open when it gets cool outside in the evenings. It actually works really well and our house stays surprisingly cool by doing that. The problem is the dust, and the stink! Farm trucks drive behind my house all the time. Pretty soon that old dirt road is about 6” deep with powdery, dusty dirt. If the wind blows at all, and when doesn’t it in Eastern Idaho, that dust all comes right in my windows. Aggh! Dusting is pointless! You guys, I have about a thousand cows right outside my back door. A thousand cows create more manure than you can imagine! That stuff smells pretty rank on hot days! When the windows are open and I come upstairs from my basement it’s almost like that smell is hanging in the air! If there’s on thing I’m scared of, besides mice, it’s smelling like a dairy when I go somewhere! If you’re ever sitting by me and you smell cows, please tell me so I can fix the problem! This summer we finally flipped for an air conditioner! We’ve been missing out our whole lives, okay only for 15 years, but still! It’s so nice! My house smells like those smelly things you plug in the walls instead of cow poo. The butter on the butter dish actually holds its shape instead of melting into a puddle! Besides that coming in the house is actually a great way to cool off now! The only problem is my boys really don’t come in the house all day anyway, which is one of the reasons we didn’t spring for air conditioning sooner. They are always out on the farm working and when you’re working like that it gets so HOT! 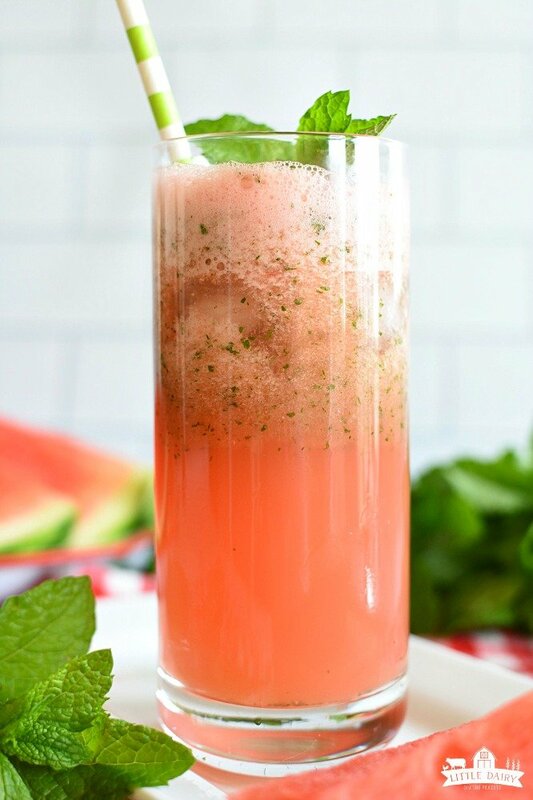 Watermelon Mint Lemonade is the perfect summer drink! I used to make treats and cold drinks to lure them home to sit on the front porch with me and cool off. Why did they have to get older and more responsible? There’s no time for them to come sip on Slushy Watermelon Lemonade with me anymore. Boo! If I want to see them I have to go to wherever they are. 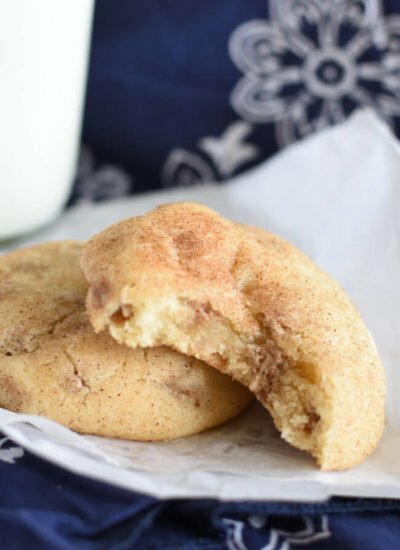 I know they like seeing me and all, but they like me even more when I show up with an ice cold beverage and a chocolate snickerdoodle! 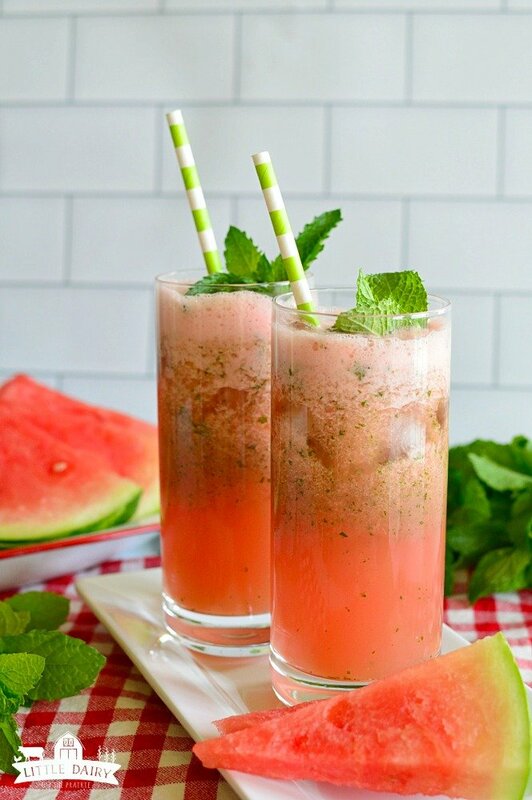 Of course lemonade is always appreciated, but this watermelon version with mint in it is always a hit! I always add a little ice to the drink so it’s slushy which makes it even better on piping hot days. 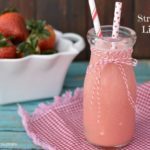 How to make Slushy Watermelon Mint Lemonade? Check out my post to see my hack for The Easiest Way to Cut Watermelon! If you aren’t already cutting your watermelon like this you’re going to want to see it! It’s a game changer! Where can I get fresh mint? How do I grow mint? To be honest I’ve never purchased mint before. I’m guessing in some areas you can buy it at the farmers market. I bet they sell it in the produce section at the grocery store too. I bought a peppermint plant and a spearmint plant from the greenhouse years ago and planted them under my apple tree. Both are very hearty plants. They are perennials, so I don’t have to worry about replanting them every year. Mint plants grow about 2 feet tall and spread out quite a bit. They will take over your whole yard if you let them! What else can I do with fresh mint? I love adding a couple sprigs of mint to my water bottle in the summer. It gives my water a little flavor without adding calories. My kids thought it would make their water taste like toothpaste. It doesn’t taste like that at all. I also garnish most of my desserts and drinks with fresh mint in the summer. Adding a little green to almost any dish makes it extra pretty! How do I make lemonade slushy? Turning lemonade into a slushy drink is easy! All you need to do is substitute ice for water. The more ice you use the thicker it will be! For example if the recipe calls for 3 cups of water, I use half water half ice. If I want it even thicker I would use a third water and two thirds ice. Adjust the ice to water ratio until you get the consistency you like! Easy as that! 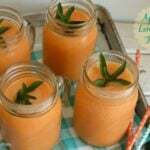 You may also use frozen fruit instead of ice in lemonade recipes. It gives an extra bit of flavor to the drink. 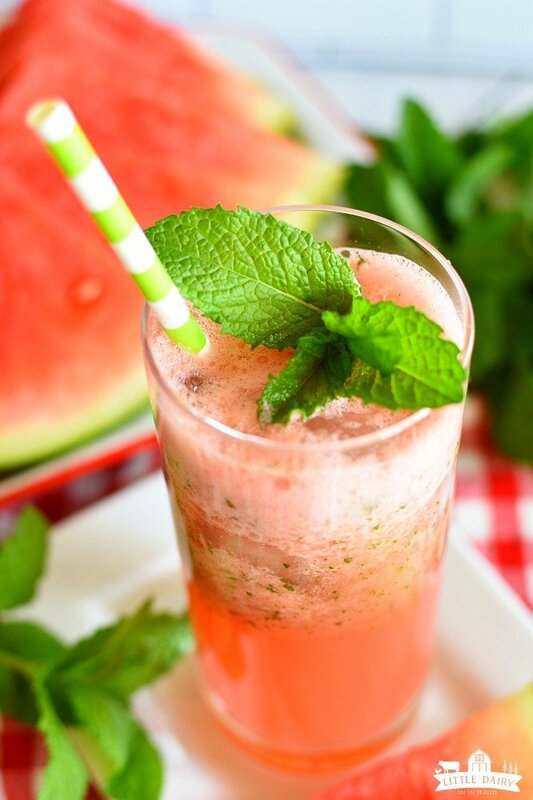 Grab the Slushy Watermelon Mint Lemonade Recipe! I’ve shared this drink with our vet and his helpers, with our employees, and lots of family members. They all take a little sip, take a huge sip, and then another. Then when they come up for air they always want to know, “What is in that drink”? Everyone who tries Watermelon Mint Lemonade fall in love with it! 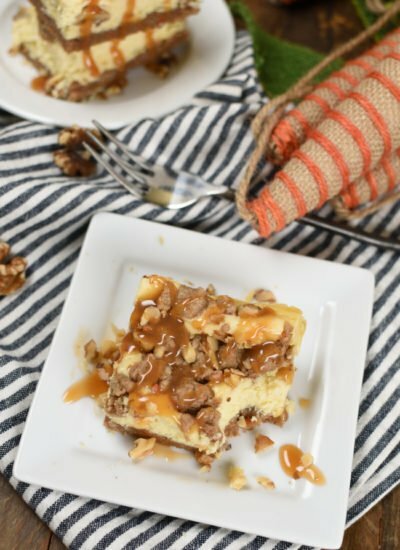 It’s so refreshing, just the right amount of sweet, yet full of the best combination of flavors! 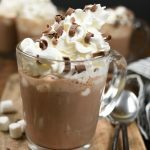 Add a couple cute straws, an extra sprig of mint and enjoy! I can’t wait for you to try it! Is there anything better than sipping on Slushy Watermelon Mint Lemonade on hot summer days? Watermelon shares the perfect amount of sweetness with lemonade, mint gives it amazing flavor, and ice makes it slushy! It’s a summer drink combo you’re likely to make a habit out of! Add all ingredients to a blender. Blend on high until ice is blended. Pour in glasses. Garnish with extra mint sprig if desired. 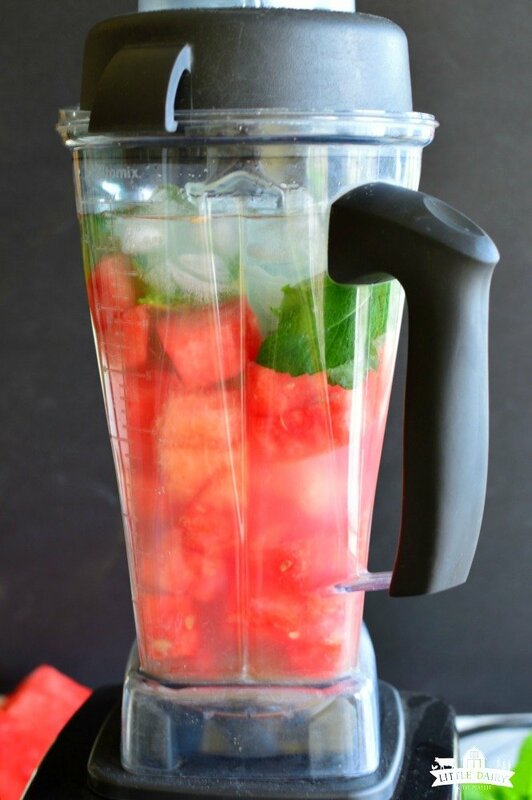 I love watermelon and the addition of mint just puts this over the top! 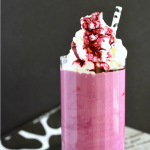 such a great drink to cool you down on a hot day! It really is! Relaxing and cooling off with this lemonade makes summer extra fun! This looks like absolute perfection! I want some of this! You NEED this on hot summer days! So refreshing! My kids would love this! Kids are always happy with lemonade! Watermelon makes it even more fun! 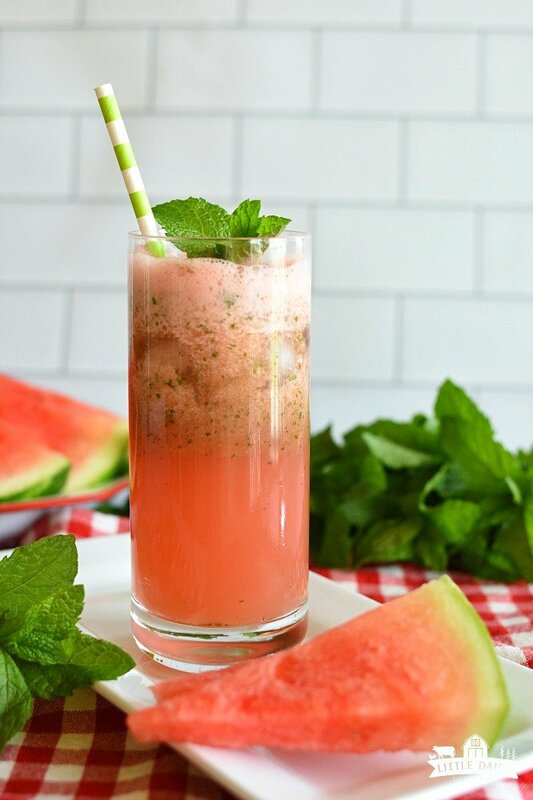 This Slushy Watermelon Mint Lemonade looks so refreshing! What a wonderful flavor combination for a summer drink! 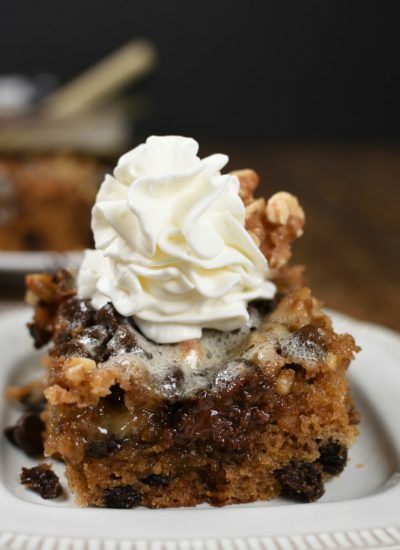 It’s seriously so delicious! I think I like it better than eating the watermelon by itself! We have a heat wave coming later this week. I need to make a big pitcher of this lemonade. Sounds delicious! You have no idea how many days a week we sip on these! I need to try this! Looks really refreshing! Refreshing is exactly what it is! It’s so delicious!